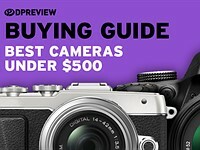 The main problem (other than some of wording in the review) is the fact that in order to defend the AF when compared with other cameras, one of those cameras mentioned by a reviewer/tester was an APC camera with a 70-200 F4 lens-hardly comparable-why compare different categories of cameras. And reading the Auto focus page of another camera mentioned, which was FF, that also had some problems, which weren't mentioned in that camera's Conclusion page. The problem seems to be consistency. The tests should be the same for all cameras and ALL results should be published-saying that the tester didn't need to do/publish the results of a test as they KNEW the results would be fine isn't correct, and exactly why some commenters are upset. Very sad that the AF is not up to scratch for such a wonderful camera. Was hoping they sort it out and bring it up to par with the big boys. Those passionate Pentaxarians must realise that when reviewers criticise the AF system of Pentax they are simply reporting thier findings. There is no point denying the AF system is not up to scratch and for me if one cannot AF on a moving bicycle, it is unacceptable. Pick up a Nikon to compare and you will realise its AF system is fast, faultless and infallible. That is why sadly I had to go back to Nikon after I had switched to Pentax although I still have a nice collection of lenses. Unfortunately, Pentax AF system of today has not yet even caught up with Nikon's and Canon's accuracy of the film era. The rest of the things Pentax do is outstanding and marvellous... but not good enough for my needs, could be for yours, however. i miss 1 shot out of 10 in AFC. with 20 year old AF* screw driven lenses . So i don't agree with the review here. Extremely interesting. Thank you for sharing your thoughts with the rest of us.
" AF highly efficient... an outstanding result." @DuncanM1 - Looks like a very interesting magazine. Do you understand French, by the way? I'd love a translation of page 27 - are they testing both the responsiveness (how fast the AF is updating) as a function of distance of subject to camera? I'm trying to understand what they're testing. Also, do you know their testing methodology? Do you trust it? Do they provide the raw data? If not, may I ask why you trust their results over ours? Just trying to understand. @borno: No, they're all in focus exactly where we focused: Sam's shirt. In fact, what you should be doing, as other Pentaxians have with the K-1 review, is complaining why we focused on the shirt but showed the face, since that was one of the complaints in the K-1 review. Why this set of double standards? We didn't think it a big deal in the D500 review (and indeed, no one complained) b/c the face falls relatively within the DOF despite focusing on the shirt, & furthermore as I've said, we're looking for trends. The trend there being that focus doesn't even drift a bit from where it should be - the face is about at the same plane relative to the perfectly focused frame in every shot. That means it nailed that test at 100%. As for your D5 comment - it's insulting, and borders on trolling. Please try and be civil and polite. Thank you for that link @chassimages, very interesting how they have a lab setup dedicated to scientific and repeatable AF-C testing. Being Canadian I studied some French in high school and bit more in college, unfortunately, that was many decades ago. To accurately translate the Chasseur D'images article I have to type the text into Google Translator and then correct for syntax. I'll try and provide a translation of page 27. The other factor is that I cannot input for than 1000 characters in the comments field here. I'll post the translation in the Pentax DSLR comments in it's own subject field. The problem with any testing is correcting for variables and I'm not sure that this can be done outside the lab. @ Rishi Sanyal. Unfortunately page 27 is more along the lines of a mission statement than an explanation of methodology. However, I will post the translation in the Pentax SLR forum under the heading: "Image Hunter K-1 test translation." I've seen some of Chasseur d'Images tests a while back. If the recent tests are the same, they looked to be focussing on a car approaching on a winding road. I mentioned this difference between conclusions of DPR / Chass-Image earlier in this thread and suggested that it is due to the different testing methodologies (but was accused of being a fanboy). Oh, and yes, it is a good magazine although I haven't bought one for a while. Also of interest on this topic is DPRs Sony RX10 III review. It 'aced the bicyle test' but wasn't recommended for 'Peak action, sports' (?) because of the CDAF losing focus, unable to distinguish from back ground and so on. So I wonder why we are homing in on the bicycle test when presumably more tests were done to reach your conclusions - although, to be fair, as the bicycle test was the main feature of the AF tracking bit in this review one could be forgiven for thinking that it's result was why the conclusion was reached. Oops, having read DuncanM1's thread seems Chasseur d'Images have updated their test, so please disregard the 'car on a winding road test' bit. I tried to edit the previous comment but was too late, sorry. @Rishi There's one reason why I would trust this test without any further background information way more than your test: laboratory conditions! I don't know their testing conditions but DPR can't provide anything but a lot of unprecise data. Then they say laboratory conditions, I'm sure they could tell exactly what they did! if they refuse to do so, I would question this test like yours! This way it's easy to sort out if the test fail short or the camera is at fault. Your way is to mess all up to provide a test who look like a norm test but have to many variables open to manipulate or depending on random effects. I am owner of Pentax K10D and just thinking about upgrade to K-1. I am thankful for DPR for this review. There is no need to make new AFC test. Because at this same test we see, that there is AF hits and misses in same series, with just same circumstances. And this is my experience too. I have lot of K10 pictures from my very active dog. And there are lot of hits and misses. Most of misses are not due AF, but from handheld blur. I don`t take photos from my dog, jumping around, on tripod. For handheld, active dog, photos, I need as minimum 1/250 with F5,6 from start. Usually I need ISO 800. Btw dog is not very contrast in nature and AF need more time, than on black and white. Dog is actually hard target. So I think, that with K-1 there will be 1/5 usable dog shots, as my K10D have 1/10 usable shots (as I mentioned, most have handheld blur, K10D usable ISO is limited by 400 ). I doubt, that Nikon are able better, than 1/3 usable dog shots. We have too much expectations. What really shakes me about the K1 is that Pentax shifted away from small footprint camera and lenses to FF camera system with large lenses. More compact high quality FF lenses is needed. It's not that the LCD overlay is more useful, it's that it actually lights up red when you 1st depress the shutter, whereas with the K-1 it doesn't light up red until focus is achieved (which is often seconds later in the dark). Rishi--The review notes that a setting change to release-priority helps avoid the focus-lock delay. Would that help avoid this issue as well? I agree completely that it would be helpful to know which focus point/zone is active when half-pressing the shutter/AF button. It's hard to track a subject when you don't know where to start, and this is particularly problematic in the dark since it can be difficult to tell where the edge of the frame is, even if you know which point is active. As a temporary fix, pressing the AF mode button can help solve this problem, but certainly this is something Pentax can fix through a firmware update. Let's hope that they reach the same conclusion. In the Sony's a6300 autofocus test, the cyclist wears a red cap and a black shirt riding on a grey path. In this one the cyclist wears a white helmet and a white shirt riding on a grey path. As it may be easier to track a red object in this scenario, the results would only be comparable if the cyclist had wore the same clothing for the test. Rishi, do I detect a faint odour of a straw man or poisoned well there? I think Eric makes a valid point. All these tracking systems make use of feature recognition algorithms analyzing images captured by the RGB color matrix sensors. The colors or patterns of the images will affect the performance and reliability of the system. For example, just a few days ago a Tesla crashed during auto pilot because the tracking system was unable to distinguish the white truck from the bright sky. The Tesla probably would not have crashed had the truck been in red color. 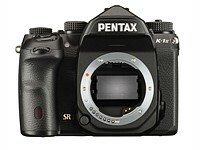 next week Pentax K1 will have over 2500 comments & it will be the most exciting camera on DPr. Is by other brandts (announcements, hands-on, real world galeries ... articles) a diferent story here on DPR? Do they not put all coments together as here? Is K1 exception by this? I do not know - just asking. AF test is not valid, because they can't create the same light condition and don't use the same lenses. They compare apple with oranges. Imaging resource uses the same SIGMA lens with different mount for testing cameras. You could compare the cameras of the same brands - for example, K-1 and K-3II. You could compare K-1 in APS-C mode with APS-C cameras of P, N, C and S of the same price level. You could compare K-1 with FF cameras of the same price range. Everybody know that D5 and 1Dx have better AF than K-1 without tests. It's different league and to make conclusion based on comparison with the best reportage cameras in the world is simply SILLY. In the tracking (riding in curves) test, the K-1 lost focus because the target left the focus area. That may be considered unfair. "Imaging resource uses the same SIGMA lens with different mount for testing cameras." 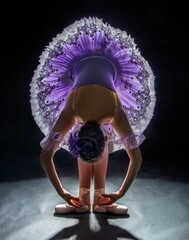 IR uses Sigma lens for studio shot. They don't do AFC tests. "Everybody know that D5 and 1Dx have better AF than K-1 without tests"
That's absolute nonsensical strawman. No one expected K1 to perform at D5 level. What the review says is that K1 AFC does not perform at the level of average DSLR (like D750) or mirrorless camera, like A7RII. "In the tracking (riding in curves) test, the K-1 lost focus because the target left the focus area"
Show me, please, the list of lenses for AF-C tests with K-3, K-3II and K-1 and the detailed results with each lens. Do you have it? D750 - man, you are wrong. My friend uses D750. It's not miracle at all. Better in AF-C than K-1 - just a bit, maybe. It depends on LENSES. It's LAW. A7RII is mirrorless camera with a lot of AF sectors in LV. "Show me, please, the list of lenses for AF-C tests with K-3, K-3II and K-1 "
That info is in the review and exif files, and in the case of K3 I remember Richard Butler posting on the forum other lenses he tried, after similar whining back then. please, go here and discuss http://www.dpreview.com/forums/thread/4025698"
Yes, I have, and that guy post is already answered. He is wrong. Remember these tests were done many times, and with three cameras over last two years (K3, K3II, and K1) and Pentax AFC system consistently failed, so it's not a fluke. It's consistently subpar performance, and not compared to D5 (that's a strawman) but compared to average DSLR and mirrorless came. 1. I trust the DPR AF-C test. Its results on the Pentax cameras mirror my own experiences very well. My own K-3 also usually adjusts the focus only every second or third exposure in an AF-C burst. And I've shot a good amount of competitive bike racing with it. 2. The Pentax system is actually capable of shooting AF-C sequences where it adjusts the focus for every shot, even at closer range. I've seen this a number of times. But it's rare. The burst of the K-1 caps was 4.5 i / s, which places it at the (same level as the) Canon 6D. The Nikon D810, which has the same sensor, climbing 6 i / s. This (k-1) performance is not shameful, but sometimes show its limitations facing animals or athletes. A narrow burst is often the sign of a winded autofocus. That's not the case here. k-1 AF (is) highly efficient, it follows the burst like clockwork, even up close distances: an outstanding result. Asp1880, what are your AFC settings, such as AF Hold? I may be missing something here, but how does the burst speed (frames per second) show a camera to have excellent AF performance? @DuncanM1: Is there a link to the Chasseur D'Images review? I realize it could be only in print. @ Simon: His second paragraph tells it. There isn't a camera out there that will meet everyone's requirements. 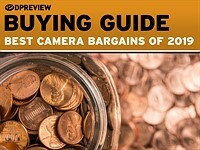 Look at each camera's strengths and your budget and see if it is what you want. They will all do the rest at least adequately. So in this case if you want a camera that is say robust, a low price for the specs and excellent for landscapes to mention one as an example then this may be for you. 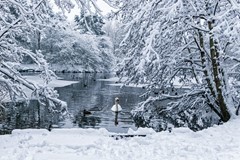 If you specialise in wildlife, especially birds, you will probably have to pay more but will likely look at other makes. Conversely if you are into astro photography, especially on a budget, you would leap at a K1 in front of the others. Horses for courses, so don't shoot the messenger! Not suitable for everyone, come on, a camera should have a minimum of performance level. I agree when DPR writes this body is for pentax users. Do you really think canon, nikon or Fuji and Sony users are going to buy a K1 because il is cheaper than a d810? No, of course. Why buy a little cheaper maybe if thé body does not meet basic requirements. Say : good for landscape, allright, don't you need autofocus for landscapes ? Is this an excuse ? No. Cheaper does not mean that it is a bargain, it just means cheaper ! Dave - you are right, it's not one size fits all. I've been heavily invested in both Nikon and Canon, my first dslr was the Fujifilm s2pro, amazing image quality, at the time. I define what I want and chose the camera that fits the bill. On the Fujifilm (Nikon lens mount" no stabilized prime long telephoto lenses where available, so I changed to Canon (1dm2, 1ds2). Changed back to Nikon (d1x, d700, because I prefer Nikon handling. Bought Sony a580 because of in body stabilization (a bargain). The Pentax K1 I have to say I do not think it is a bargain, but I wanted an image stabilized pro grade body. It is a great camera, but mounted with the same Sigma 35/1,4 as my D700, the Nikon delivers more confident AF (unexpected). I was thinking I would love to mount the Sigma 500/4,5 (I loved the Nikon mount version) - but, the focus issues on the K1 makes me rethink my strategy. To my mind the the AF is the Achilles heel of the K1. dansclic--You are greatly exaggerating what the reviewers actually said about the cons. They said that AF-C tracking was below average. They said that AF-S hesitates in low light, but that a setting change to release-priority addresses that. If I shot a lot of action-tracking shots, I'd get a D500. For all-around use, the K-1 is a great package at a great price. Their review agrees. My last post on this review. Thank you so much dpr staff for your patience and understanding. You still my favorite place on Web. And we thank you as well for reading and being a part of the community. DPR staff, can you please provide straight-line AFC with PDAF single-point test shots for Nikon D810 as comparison to K-1? Do any other brands have 'Catch-in focus'? Yes, I think Nikon calls it "Focus Trap". It's curious, that would be my mode of choice for shooting a cyclist. Just set it and let the cyclist do the focusing for you. Even a broken clock is right twice a day. BUT IT IS NOT SO EFECTIVE AS BY PENTAX. it does not work like this. You must hold the trigger & turn focus ring on lenses. When object is in focus Pentax automaticly takes a photo. So ... cyclist has nothing to do with it. I suppose the problem is that not all brand have this function, so even though it may work fantastically for those brands, those without must use another way. A standardised test must be applicable across all brands even if that test doesn't work as well with some brands and works well with others. That's the rub-standardised testing for certain things isn't always the best way in the case of AF, perhaps the best method for each brand should be used, although this would mean familiarity with all brands. @obpisan I have used Catch In Focus to great effect in the manner I described without ever touching the lens. It can be done one of two ways, the "let the subject come to you" method which works well for cars, runners, cyclists, birds in flight etc, and the second method, the "rack focus" method that you are describing which works better for static subjects. Mr. Forsyth's comment is correct in that for the first method, you need to pre-focus on a point, and make sure your that your subject "hits their mark" as it were. This can be done with single point, but also with 9 or 27 point focus zones. @Professor999 I guess the major drawback to Catch In Focus is you won't get a 14-shot burst sequence, but my question is, why would you want one? I'd much rather have one shot that I know is in focus to post process, rather than 14 that I have to sort through to find the best one and discard the other 13. I guess some people want that, but the emphasis given to this test in the rating system seems disproportionate. I can count on one hand the number of times I've shot a burst sequence. As an amateur I've shot Horse-Jumping, football & beach volleyball with autofocus & also with manual pre-focus. Surprise, surprise, pre-focus always has keepers at 100%. The test isn't about alternative mehods, whether they involve pre-focus, panning or any other valid method of capturing in-focus shots for moving subjects, it's about capturing a man on a bike moving in a z-axis & leaving the camera to do the vast majority of the work. Here is a shot I did with the LTSCTY (Let the subject come to you) method of Catch-in-Focus. There is a small amount of blur, but I think it has much more to do with the 1/180th shutter speed I was using due to the need to sync with the flash. She was moving at a pretty good clip, and although we did the shot several times to get the right hair bounce and expression, I had a 100% keeper rate in terms of focus. 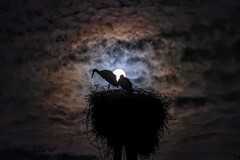 That is a great shot!!!! Seriously though, that's the thing about photography, we can capture great photos without necessarily having a particular feature set which can capture men on bikes zig-zagging. Just because that particular test didn't work well on the K1 doesn't mean it doesn't work at all-and by all accounts from other commenters the the AF works for what they need. Pentax isn't known for making sports cameras but what it is good at is generally the best in class. Tnx 4 explanation .. I didn't know that. I feel great by so many useful informations which are written here in comments. And 10 percent of comments are by DPReview staff. It's now surpassed all but the X-Pro2. Unless the "What is equivalence?" article has accumulated more comments since last night, this review is now the second most commented item on the site. @Gesture: So hooray for writing a much-criticised review, eh? Thank you for the prompt review, which as a K-1 owner I found to be well-done and fair, with the possible exception of the snarky Kindle reference. What I think could be emphasized better is that the lag in AF-S in low light can be largely eliminated by a simple setting change to Release-Priority, in less time than it takes, say, to boot up a Kindle. The other suggestion would be to better help comparison shoppers by testing AF-C with the same 3rd-party lens at the same settings with the same subject under equal lighting conditions. It would have been easy to get a D610 and 6D to do this (neither was tested at f/2.8, for example). Had the Pentax lagged behind, hand-wringing would have still happened, but there'd be fewer accusations and more useful info, even if it was to the detriment of the K-1. I really do not mind seeing the negatives... In fact, I want to so that I can work my way around them and hope that Pentax would see and release a firmware to address such issues if possible. I'm wondering are reviewing the camera or the system?! Did you do that with Sony and fuji when they first came to the mirror less market with only kit lens or with Samsung. I think it is fair when reviewing a camera just put the conclusion on the camera only not the whole system. Keep in mind that when we made this statement we are referring to the lack of high quality full frame lenses that can get the most out of the 36MP Full Frame sensor. Sure there are tons of K-mount lenses out there but many of them will not be able to successfully utilize the sensor technology in the K-1. We've already stated this several times in the review. We specifically listed 'Limited selection of FE lenses' as a 'con' in that review. Some (most) of the dissatisfaction by Pentax fans here should be directed at Pentax. Not at DPR staff. I am a Pentax fan, and yet have found the AF, flash support, Jpeg rendition lacking in this brand. The company should listen to its fans! Keep up the good work, DPR. If your test has highlighted issues, more power to you, and thus to us consumers. If DPR staff has given a silver rating to K1, along the likes of Canon 5DS, that is superb. And, for the price of K1, Pentax has done a great job. And they can do better. Why be so bitter? The consumer is winning! I'm content with the review except the AF section. There are lot of flaws in this section but even exterminating the flaws wouldn't get the K-1 a better performance or more points. Some of the problems I can confirm (hesitant), some not. Yet dpreview have to get some standards with this test, like stating the exact(!) configuration and at best videos like they did for OTHER brands. They should decide if it's a real life test or a norm test. I would prefer both instead this messed up test enviroment, that way you could see better the limits. Each generation of Pentax Body has got a better and faster AF system, I know, I have several generations since the *istDS. 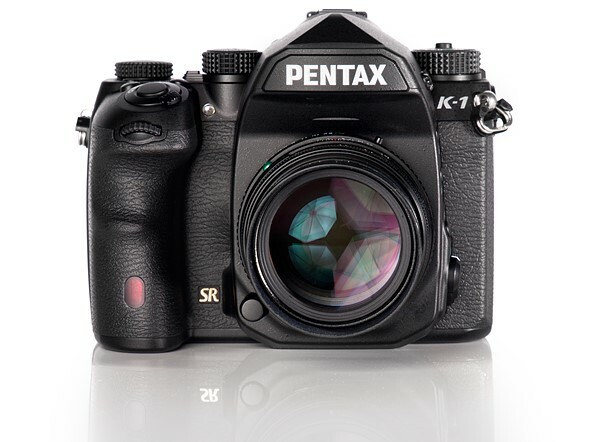 The K-1 is the best yet, from a Pentax point of view. It is no slouch, but it does lack behind the top end CaNikon models, especially in AF-C mode. Pentaxians like me have learned to adjust and anticipate. Now, if Ricoh really want to nail it, they should buy a D5 and 1DX mk2 strip them down and work out how a seriously fast AF system should be applied. In the meantime I will enjoy my K-1, knowing that in AF-S mode it is responsive and quick, and in AF-C mode, having to adapt my shooting (as I have done with all the other bodies), and get wonderful shots that the camera is producing. "Autofocus performance was swift, comparing well with the Pentax K-3 II in my informal, real-world testing. (And our lab testing likewise found autofocus performance to be a strength of the Pentax K-1.)" and what exactly are they 'lab testing'? they're testing the 'AF lag', which is a measure of how fast a camera can identify a target (a static chart in a studio), move the lens to the correct position and take a picture. This is both lens and illumination level dependent, and is literally the lowest possible bar for measuring AF performance. If a semi-pro DLSR can't nail single point AF in a well-lit studio, on a tripod, in a fraction of a second it might as well be manual focus. The review is in French and it uses Flash so I can't quote it directly. "la cadence de declenchement n'est pas des plus elevees (4.5 i/s) mais l'autofocus est reactif. Le K-1 parvient a suivre le sujet jusqu'a 2m de distance. C'est remarquable car beaucoup d'appareils ne descendent pas aussi bas. La rafale est correcte et, surtout, les sujets mobiles seront restitues avec precision...a condition d'avoir une optique soit a la hateur. " The data on pages 18-19 shows the K-1 to be a middling AF performer compared to other price comparable FF DSLRs. In the Dpreview's list of weaknesses, they list AF-S lag, which can be easily eliminated by a settings change to release-priority, and AF-C, which they imply is disastrously poor. The difference between disastrously poor and "middling compared to similarly-priced competitors" for prospective buyers is huge. BTW, they also mention that release-priority improves AF-C performance, but not by how much. As a K-1 owner, I'm fine accepting mediocre AF-C in return for its unique advantages, but again, saying it's mediocre and suggesting you can't use it effectively for backyard kids' shots is a major difference. I know that this might add lot of work for reviewers, but i wonder if there could be other kinds of AF-C done when reviewing a camera. I mean, for instance when you shoot BIF or wild animals they usually move ( fly / walk / run ) in a more perpendicular or diagonal way to the camera lens and not towards the camera, and they are not at 1-2 meter away. So maybe you can arrange something to test this kind of focus tracking in a predictive way, you could also add obstacles like branches so the object goes beyond them and then re-appear and see how camera-lens responds. So IMHO the review could distinguish among those instead of AFC review conclusion been almost a binary conclusion. You could end up having a AFC testing ground :) . They could and probably should do much more exhaustive tests of AF-C, especially if they're going to extrapolate an overall assessment of the entire AF system from such tests. Rishi/DPR keep defending their methodology but continue to miss the source of all the anger. DPR performed a singular test. Whether or not it was done correctly is almost irrelevant. What is relevant is that DPR decided to condemn the entire AF system based on this singular test. (DPR have since tempered their conclusions, no longer claiming the K-1 to 'poor', but rather 'AF-C not up to standards'. But again, based on a singular test). I think it acceptable that DPR should choose this test as a benchmark for comparing cameras, provided that conclusions drawn from it are kept in perspective of the test. Nonetheless, I do expect the same test will eventually prove some other camera is also 'poor'. If the camera in question is one that >should< pass, then we might see some expansion or revision of the test. I see your point. However, we've settled on the bike test (which has two aspects: a simple approaching object and then a weaving object to test tracking), because it's a semi-challenging test of two aspects of autofocus that we've found relate well to a variety of real-world situations. Birds in flight, where you have a single object, very distinct from an effectively infinite background, isn't especially challenging for any phase-detection system - especially if the subject moves perpendicular to the camera, requiring minimal refocusing. We could create a test for that but everything we've shot suggests that all PDAF cameras would do very well at it and CDAF cameras wouldn't (something we should probably more consistently make clear in those cases). The bike test isn't perfect and it doesn't represent every use-case. But it is highly effective at distinguishing between cameras that are capable in a range of situations and cameras that are more restrictive. "What is relevant is that DPR decided to condemn the entire AF system based on this singular test." No, as we've repeatedly stated, we combine the bike test performance w/ real-world experience. Our impressions are most certainly not based on a singular test. We've only presented the relevant data that back up our points. We spend weeks to months w/ cameras comparatively assessing their performance in a variety of real-world shooting scenarios. As well as the bike tests, closer distance subject tracking tests (typically including some sort of face/eye tracking test), and other tests as needed to benchmark performance. We'll often tailor the benchmarking based off of initial performance testing. E.g. there was no need to even include a face (subject) tracking test w/ the K-1: when a camera fails our bike subject tracking test, it completely fails our mannequin face-tracking test (we did verify this w/ K-1 in informal testing). Richard and Rishi--thanks for the review and for monitoring the discussion. What I think would be a useful inclusion for comparison shopping in a review like this would be to control variables by running the same AF tests with a couple of similarly-priced models with same (ie-3rd party) lenses, focal length, f-stop, lighting, etc. Besides stifling charges of favoritism, it would be helpful for shoppers to see how, say, the K-1 did compared to the D610. If it's terrible, that's good to know. But otherwise, it's hard to compare an f/4 D610 test with one lens to an f/2.8 test with another lens under different lighting conditions, etc., and there's no way to compare the K-1 low-light AF or the weaving-bike test to the D610 review, which didn't include them. And you do have to admit that the Kindle wisecrack was a little provocative, especially when you said (as I found) that switching to release-priority greatly improves AF-S performance. I alluded to this in a previous comment, but I'll state it more plainly. The reviewer's assessment of the AF capabilities is downright wrong. I'm not arguing with the final score or anything, but the entire AF section of the review reeks of bad reviewing. Claiming the AF is unimproved over previous Pentax models is ludicrous. Even the basic AF interface has been overhauled. And AF accuracy isn't just improved, it's fantastic. Implying that anyone picking up the camera would be lucky to get an in-focus shot is disingenuous and ridiculous. 50% keeper rate? Really?!? Having said that, I'm the first to admit that AF-C tracking of subjects with Pentax cameras is still far behind what's being offered by Nikon and Canon. A fast action camera, this is not. I've been able to get good results at sports photos with the K-1, but only with very careful management of the AF. A sports photographer would be very frustrated by these limitations. so what you're saying is that it doesn't work well with moving subjects? How is that different to what we wrote? @Simon Johnson Because there is a huge difference between concluding that "AF tracking not up to level of peers" and the first bullet point in the Cons like be "Poor AF". The statement "poor AF" suggests that the overall AF performance is poor, when it was only a very specific predictive AF test in AF-C mode that didn't perform well. And to write in the conclusion that the "K-1 AF is an improvement over all previous Pentax DSLRs" while writing "Poor AF" as a Con, doesn't make sense, and is not consistent with the fact that neither the K5, K5 II or K-3 had any negative cons whatsoever regarding AF. It is also true that no other entry level FF DSLR (600D, 6D) or high megapixel DSLRs like the Nikon D800 or D810 had any similar predictive AF tracking tests done at all. And shooting an AF tracking test with an object coming at the camera on a 36 mp DSLR at the shallow DOF that max aperture provides and summarizing with "Poor AF" in the general sense is not accurate or fair. "Unfortunately, the improvements really don't seem to make that great of a difference in terms of performance as the K-1's autofocus system behaves in much the same manner as the K3 II"
"While the AF system of the K-1 can't keep up with some of its peers, it is an improvement over previous Pentax DSLRs"
"Even in the most basic, single point AF shooting modes, the results are far from what we would expect from a modern DSLR focusing system. The autofocus tends to hesitate, even in AF-S mode with the center point - it’s nowhere near as fast as most Canon and Nikon DSLRs." That's a complete fabrication, and gives readers an entirely false impression. Makes me wonder what horrific lenses the reviewer used for testing AF speed and accuracy. I've got screw-drive lenses that bang into focus so fast and accurately on the K-1, it makes you wonder if the camera got it wrong somehow. Yet I find myself always pleasantly surprised. The new LCD overlay on the viewfinder alone counts as a massive upgrade over the old LED display from previous models. Now I can confirm ALL the parts of the image that are in focus instead of just the single focus point I had selected. But is there any mention of that in this review? Of course not. The entire AF assessment is half-baked and biased. It's obvious the reviewer has zero familiarity with Pentax cameras other than being forced to review them once in a while. "It is also true that no other entry level FF DSLR (600D, 6D) or high megapixel DSLRs like the Nikon D800 or D810 had any similar predictive AF tracking tests done at all." Untrue. D810 did, and it nailed mostly every shot in 3D Tracking. It nailed every shot in the straight on bike test, & as we've repeatedly stated, when a camera, and more importantly an entire brand of cameras, continuously nails that particular test with a 100% hit rate, we often don't bother showing it, showing the results of the more'difficult tests instead. Which is exactly what we did with The D810, D500, D5, etc. If you're so upset by this, would it help if we uploaded folders of images of the straight on bike test for the D810? D500? We have them. We just stopped building rollovers for an entire brand of cameras that never falters in this test b/c it no longer seemed worth our time. You need to let go of this... we know AF-C is lacking on Pentax compared to its peers, and this totally deserves to be reflected in the final score. But your assessment of the entirety of the AF performance is way off the mark, and much of the "Autofocus" section of the review is a joke. See all my points above. "shooting an AF tracking test with an object coming at the camera on a 36 mp DSLR at the shallow DOF that max aperture provides and summarizing with "Poor AF" in the general sense is not accurate or fair." We think it's fair when you consider most dSLR & mirrorless contemporaries perform far better (2-7x better in our limited bike tests). Furthermore, subjective testing of subject tracking (the ability of the camera to shift the AF points to stay on your subject) indicate the performance isn't even comparable to Nikon, Sony Eye AF, or Canon's performance for telephoto subjects. AF-S often hesitates so the camera fires well after a comparable Nikon has fired when focusing on the same subject with similar (modern) lens. And that's before we consider the very limited AF area. Given these considerations, we believe our assessment to be fair. That said, we updated our wording in the Cons yesterday to be more nuanced, so I don't know why you're still complaining about our 'poor' wording. I need to let go of this? The AF section which confirms your feelings, just does so rigorously with more controlled tests than anyone else on the forums or net has provided, is a joke? Why isn't it a joke in all our other reviews, where we do similar tests that reflect the real world differences between these cameras? One more issue: the selected AF points are ALWAYS VISIBLE in the viewfinder of my K-1. They're not "illuminated", but they're very clearly displayed. That entire part of the Autofocus section is blatantly wrong. Did you even have the LCD overlay enabled while reviewing the camera? It's on by default! I can't imagine anyone turning it off on purpose during a review. God, guys, let it go. I haven't tried the K-1, but the AF.C behaviour DPR describes in their test reflects my experiences with the K3 100%, so I tend to believe them. This is a great camera, and I am surprised that it only got a Silver Award and 84%, considering the amazing body, functionality and image quality. But the AF is horrible for anything that moves. Well you're still not addressing _any_ of the points I've made, so clearly you're hung up on something. "God, guys, let it go. I haven't tried the K-1, but the AF.C behaviour DPR describes in their test reflects my experiences with the K3 100%, so I tend to believe them." YES! Absolutely agree. Nowhere in my comment do I ever pretend otherwise. But the Autofocus section blasts EVERY ASPECT of the K-1's AF, not just AF-C. And it does so with great levels of incompetence. If I read this review before making a purchasing decision and had poor vision that prevents me from focusing manually, I'd be terrified to go anywhere near a K-1. "it does very well indeed, rendering our bike test irrelevant". "In this instance, the rider started off too far back for us to be able to specify that the camera should focus on his face, so instead it's focused on his shirt, but the consistency between shots is excellent". Maybe my English is poor but if the rider started too far back, why wasn't he asked to stop and repeat. Also you write that the camera missed focus, focussing on his shirt raher than the shirt-isn't that a problem. Unless I'm wrong the camera is an apc camera so the DOF with a 2.8 lens would be more forgiving but it still managed to miss focus. The lens used for the test wasn't specified-F2.8 or F4? Certainly greater DOF than the FF Pentax. Nikon D500 Team Sports-"we found that, while generally very good, the camera could be distracted too often to be depended on." Nomention of missing focus or couldn't be depended on in the Cons list of the Nikon D500, though. "We shot the same test multiple times (generating over 700 images) and found we could pick images at random and be supremely confident that they'd be in focus". Very scientific, choosing them at random. Confident, wait, supremely confident? Is that that an objective way of approaching a test? Seems like a conclusion had already been made. Professor999 - I'm happy to discuss any of this by PM because I don't want to turn this comments thread into an infinite series of nit-picking tangents. The D500 aced the bike test. To a degree I've never seen before. It also shoots at 10fps. This means, for the typical bike test, I was getting around 60 shots per run, 3 runs per camera setting. After you've scrolled through 180, then 360 in-focus images, you get to the point that you can be confident that you've spotted a trend. The D500 (and the D5) far exceed what the bike test is trying to simulate. So we had to make sure we went out and subjected them to harder scenarios, to find out where their limits are. But no, I didn't criticise the D500 for having the best AF system I've encountered on any camera I've ever reviewed. "We can't emphasize enough how magical 3D tracking is: once you get used to trusting the camera to follow your subject for you, you may be hard-pressed to go back to using a camera with a lesser subject tracking system". That explains why Pentax fails. AF-C during bursts-"With a Nikon 70-200mm F4 VR lens, we shot a continuous burst of images at 5 fps using AF-C '3D tracking'"
Sorry, You used an F4 lens with the Nikon review (larger DOF) and F2.8 on Pentax lens (less DOF). Is that right? To continue-"nearly 75% hit rate is quite good"
"The frames that do not show an AF point indicate that focus did not lock, so the responsiveness of the D810 could certainly be better." @GoremanX: "Yes the overlay was enabled. In the dark, you can't see the overlay. That was our entire point- that the illumination should turn on at the beginning of focus, not only when it's acquired. And I tried to address your points. With the very modern 24-70 and 70-200 lenses (not the 'joke' of a set of lenses you suggest we tried), even AF-S hesitates relative to its contemporaries. Not always, but often. We realize we could've phrased that better, & so we've rephrased it to be more clear that when it hesitates - which is quite often, particularly in low light - it's considerably slower than a comparable contemporary. If you think it's fast enough, then all that proves is it's fast enough for you. But that's an isolated opinion not having tested any of its contemporaries side by side. We, OTOH, benchmark against the entire field. Therefore, we likely have entirely different frames of reference - and that's exactly the value we provide: non-isolated, comparative testing. Rishi--your review mentions what others have noted, that changing to release-priority helps eliminate that AF-S hesitation. If it's that easily addressed, why not cite it as a recommended settings adjustment rather than an inherent AF weakness? For many prospective buyers, your conclusion sounds like a blanket condemnation of its AF usability in any mode, which doesn't really seem to be your intention. Are you sure there is a 'limited lens selection'? Are you really sure?! 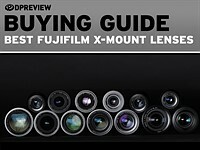 "So here is a list of current, reasonably modern lenses for the K-1. All of them feature autofocus, are still in production or sold new and cover the full frame image circle. [...] That is 20 genuine Pentax lenses (5 zooms and 15 primes) and 14 third party offerings (8 zooms, 6 primes) for a total of 34 lenses. [...] So to recapitulate, Pentax has everything from 15 to 450 mm covered with high quality zooms, and there is a ton of primes from 14 to 560 mm, including macros, not less than four 35 and one 31 mm lenses and another four 50 mm ones. And if you are willing to manually focus, there is an entire world of lenses available used." How is it possible to ascertain how many of the Pentax lenses will perform on a given body with a given sensor without actually trying it? 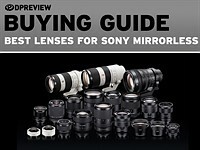 Have these lenses been tried by the reviewers? If they haven't then they shouldn't be dismissed without evidence to the contrary, surely. Perhaps adding the number of lenses which are able to be used successfully to the line 'limited' would give readers a better idea. 'Limited' could be anything from 1 to, what, 20, 30, 40, surely more than the average enthusiast would ever buy. True, and I acknowledge that you are certainly right. Not many lenses are optimised to make the best of 36 MP. But there is this lingering assumption (maybe not amongst DPR, but many photographers) that there aren't many Pentax lenses, especially not for FF, and that's just not the case. There are many, many of them are excellent, and many of them are reasonably modern (meaning e.g. AF), so not all are legacy. 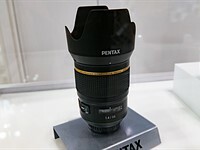 @FatasticMrFox we highlighted that a few times in the review- the ability to use all of your old K-mount lenses is definitely a positive and a huge bonus for current Pentax shooters (it was listed as a pro in the article). We even shot a handful of the older lenses and the images are posted in the gallery. In no way were we saying that there is an overall lack of lenses- but we can't just dismiss the fact that Pentax just doesn't have a complete line-up of modern FF lenses that can match the image resolution provided by the K-1's FF sensor. I won't go into the "AF performance" here as it has been said a lot. (I have not really seen any issues) but the lenses instead. Yes most of the DA zooms do not cover the sensor, but some do, 10-17 Fisheye is a case in point - at 15mm is does cover the sensor. As for the DA primes, well having the DA35, DA40 and DA50 I can confirm that they do cover the whole sensor without issue and produce wonderful imagery. But I guess Ricoh are covering their backs with the "stopped down" message. I suppose that it appears that Pentax have a "limited" selection of new FF lenses,but even now what they have does cover a rather wide range of lengths. I would not be at all surprised if they have more new options than a certain Sony of this world. Ultimately though, it comes down to enjoyment of Photography and how a lens renders the image and how pleasing it is to view and print. Above all I have found that taking shots with many old and new lenses fun again and that is what matters. One fact that I never see mentioned when talking about sensor coverage of a particular lens is final aspect ratio. Most of my shots end up being 8x10s, some 11x14s, 9x12s for my models. All these formats are "more square" than the native 3:2 images that come out of the camera. I think I am not alone in this. Many lenses that do not completely cover a 3:2 frame do actually cover the sensor in the area of my intended aspect ratio. I know they can't really put a footnote on each lens "Works for 8x10, but not 9x12", but if you intend to crop the long edge of the frame anyway, there may be more than 12 lenses available. If I could get 80 percent of the quality of a Rolls Royce, Ferrari, whatever for 1/2 the price, I might consider it Golden? I'm the one who ultimately decided on the Silver Award because of some of the things I mentioned above. If a person isn't interested in video and doesn't shoot objects moving too fast, then for half the price and with the features that this camera has that others don't, it is definitely a bargain. @Professor999 I think you just summed up the conclusion. This is perhaps a naive question but I'll ask it anway and take the risk of sounding stupid. If I buy a camera that records 4K, I need a 4K television or monitor to play it back on, is that right? And if I don't have one, would that negate the necessity of having a camera which records it, or am I wrong? IF I'm right then getting a K1 would enable me to playback on a current affordable 1080 TV while buying a camera which records 4K means I have to go out and buy a new TV am I wrong? 4K has many other uses. YOu can crop to 1080p if you have 4K original. That gives you a lot of option (even panning option). Also, UHD 4K is twice the resolution of 1080/Full HD in each direction. This means you're perfectly (2x) oversampling the image. This should allow downscaling in such a way that you display the maximum resolution that 1080 can possibly show, but with no errors and if done properly, no attempt to (erroneously) represent anything above 1080 lines per picture height. And if you've got a decent editing package, it'll let you work with proxies, so you computer doesn't need to be significantly more powerful (it only edits the full res footage at the end). Or I could just shoot 1080, and edit that? Would I notice THAT much difference in image quality? Again, perhaps it's my naivety showing, but it sounds awfully similar to the megapixel war. I should clarify: 4K is nice to have but we don't consider the lack of it to be unforgivable at this point. It's not the lack of 4K that makes the K-1 look off the pace, it was a combination of the lack of support tools for video (focus peaking or magnification while recording, lack of zebra warnings for setting exposure, lack of video-centric profiles, relatively low resolution video quality). To be clear, the video score has relatively low weighting in the overall score, and the K-1 is far from an outlier in terms of DSLRs being weak in this area. As someone who almost never uses video recording on a DSLR (I use a dedicated video camera) when I read the phrase 'low spec video' I was surprised. When I saw 1080 on the features page I was happily surprised. Is it too much to ask to write the format recorded next to the phrase so people like me won't misunderstand? Should in-body stabilisation be a Pro when shooting video, after all, if other brands without in-body IS use non-IS lenses that would be a con, right? Downsampled 4k is clearly better quality than straight 1080p footage. And, as has already been pointed out, it has much more flexibility in post processing as well. As a Pentax user I don't understand the fuss about the review. Honestly guys, Rishi Sanyal's findings seemed to match the general overall assessment that i've read from other reviewers like Tony Northrup. The general theme about the K1 is that it has a weak auto-focus compared to it peers. They all say it's built like a tank and the body itself is a great value with excellent image quality. Yes. I have posted similar yesterday. We all know tracking AF is a Pentax comparative weakness (along with flash sync, video and documentation). The rational posters are upset about the original article title, and several instances of hyperbolic or injudicious language in the commentary and a bit of Amazon snark (Mindle to read waiting . . ). Most of that has been edited out which is nice, but the edits aren't credited. That just makes even the reasonable criticisms confusing, because a later reader sees text that doesn't warrant criticism. There isn't any way for the reviewers to win this now. They're good people - competent. They write (or wrote) for Amateur Photographer. 84% and Silver is about right - a good ballpark evaluation. $1,800 is a great price for an 84 camera. I just think it's a crying shame that a more carefully-worded section on tracking autofocus might have ended this flame war before it started. Damien is a top notch writer. "I just think it's a crying shame that a more carefully-worded section on tracking autofocus might have ended this flame war before it started." That's some wishful thinking. After rewording the Con re: AF to be more nuanced and written out two separate cons that are more details (detail that we usually save for actual text, not Pro/Con tables... but since so many people complained... we obliged), the same people are still complaining. The reality is that even carefully worded negative results invite flaming from those that don't want to believe it, or simply have an entirely different experience but aren't willing to accept that we have a different frame of reference having benchmarked against the entire field. If a valid point is made & we turn out to be wrong (which happens, from time to time, to anyone), then we correct it. We have no problem admitting when we're wrong- quite the opposite: we have an intense sense of responsibility to be right & inform our audience responsibly. Also, note that little to none of the text in the AF page or Conclusion has been changed, save for the addition of -C to 'AF' in the first sentence of the Conclusion's AF section, & a clarification of what exactly we mean by 'hesitant AF-S' on the AF page. Hence, I'm not quite certain why you're suggesting much has been edited out. Thank you for great review. There are some mistakes in it - no wonder. We are all humans & we all make mistakes. At first I was sceptical about buying K1 because of those mistakes. K1 is the right choice for me. Thank you again that I was able to take a right decision. Although there is a lot of anger about our assessment of the camera's performance, I'm glad to hear this hasn't clouded the fact that we found an awful lot to like about this camera. 84% and a Silver award is a really good result, that speaks of a camera with a great feature set, excellent ergonomics and superb image quality that's available for a really competitive price. I hope you enjoy your camera as much as we did. I will injoy .. It has not come in stores of Slovenia yet. I cannot stop laughing at this comments section. Now that you joined. Barrel 'o laughs. I will not accept this review even they will give k1 gold award plus 5 stars. The impact has been happened. 1 negative point only for the af . Ability to use every k mount lenses with SR.
A system support wr from the kit lens to the pro. Very easy system and very customized camera. But the af system is not at the same league with competitors. As a journalist I will write the conclusion like that. Sorry Rishi it should be written like that. Thank you for sharing multiple times how you would write the review. But you haven't written the review on DPReview. Neither have I, incidentally. Rishi has been taking the brunt of the criticisms here- but I was one of the main authors for this review. I really hope that you're being sarcastic, and if you are- you would definitely need to add another negative point for the limited video options. Yes, it's a default which can be changed if I don't like it. I take it out of the box, set it up the way 'I' want it-customisation-then take photos. Thats typical, There are thirteen different settings available. Which one should I choose as default for out of the box. - Seattle likes natural they've written somewhere in the better part of the review ( most of it is much better than the AF-sektion). When the take natural japan will grumble They can't win. But making that's a con unprofessional. And don't forget each of the setting is customizable. Canon's are criticized for the same thing.. I bet you never got on your soapbox then have you? Mate, that even state as a pro the fact that you can customise your jpeg. They rate as a con the fact that the jpeg is not already customised to a pleasant level, e.g. you need to do it yourself. What is so hard to comprehend ? Nested menus-all cameras have nested menus, otherwise there would be a 100 tabs-once the camera is set up, there's little reason to menu hunt. 2 dials plus an extra one which can set for a number of different functions, green button is customisable. Even the screen is customisable. All this is written in the section but is listed as a Con. Prof, its all about familiarity , If Pentax had lead the way , implementing menu systems and functions sets before CaNikon did, it would have been the reverse. The reviewers have a certain set of expectations which Pentax 'apparently' (just for you Rishi) decided to do differently. Most reviewers are overly familiar with the dichotomy of Canikon, and rarely understand a third, or fifth way. Pentax is well-known & widely praised for it's menu layout-that & the fact that the 'Control' page uses words like 'brilliant' makes me wonder how it's a con. 'My post was deleted'? As much as as I may disagree with DPR and their staff sometimes, Im surprised to hear they may have deleted a comment. So let u ask again. 'Does any of the DPR staff regularly use a Pentax camera'? ( by which we mean as their day to day first choice camera, whith which they have become accustomed? That's my biggest dissapointment with the review - most of the cons are personal preferences and not a design fault. The cons are personal preferences? Every single one of the cons listed is completely objective apart from, and say this with a grain of salt, the nested menu layout* aside from that every other con is a relevant and an objective critique of the K-1. In no universe is the lack of a dedicated AF control that requires you to sacrifice a 4-way controller that controls other things, and is ergonomically cumbersome to reach and control quickly with your eye to the fonder, better than having a dedicated AF point selector positioned properly near your thumb. It's as simple as that. That's not even subjective. If the nested layout is a subjective, then, with a grain of salt, shouldn't it be removed? Rishi- no one is saying that having a dedicated AF point selector isn't preferable, what people are saying is that having the option to use a 4-way controller isn't a con. You could say why don't other brands have the Green Button and put that on all reviews as a Con. No Pixel-shift on other brands should now appear as a Con? When a feature is both: (1) generally useful to many types of photography, and (2) widely available in other cameras of its class, it makes to the cons list if it's missing. That's why the lack of joystick made it to the list, but lack of a green button or Pixel Shift wouldn't make it to other con lists. Furthermore, if there is some irritating feature that we strongly feel is worth a mention, it'll also make it to the cons list, which explains the lengthy con list for the Sony a7R II, for example. Rishi: So rephrase "No dedicated af point control" because there IS a dedicated AF Point control and you don't like it and maybe say 'the AF point dedicated control is a disaster ergonomically' that would at least convey what you have conveyed here. Hell hath no fury like a pentaxian disappointed. I would venture to guess that had the AF been able to challenge the efficiency of Canon or Nikon there would be none of this questioning of test methods or bias. I'm surprised we haven't heard of a protest of all 12 of them marching on dpreview headquarters in Seattle yet. maybe I should check CNN. I liken it to a little known and generally disrespected basketball team making it all the way to a game 7 of the NBA finals for the title...and then losing the game on what is felt as suspect officiating. I won't speak on whether the "officiating" here is correct or not, but it's that same emotion. It's understandable. My shooting style (street) is uneffected by AFC of the K-1, so I'm more than happy with it. Even though its bad for business (and lens availability), I'm halfway okay with Pentax not being able to sit at the cool kids table. DPR defensive posts: about 480. Will never use anything but a phone: 1800. If I wrote this report will be positive especially with regard to the lenses availableI will say that Pentax lenses are wide from crop da to full frame. But if I am going to be negative as you did i will say a few lenses are available. 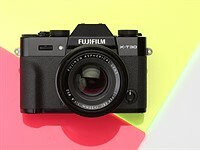 I remember when you reviewed the first fuji xpro 1 you tried to encourage fuji and their fans that the xf system will be grown .a similar things are mentioned about Samsung system. Why on earth put a negative impact on k1 because the listed lenses are reviewing a camera or a whole system. Did you do that when reviewing a lens. Do you you mention a system or a camera. that was back in the day when Mirrorless was coming out of it's infancy. pentax is trying to get into a (overly) crowded and competitive segement of the market, with no less than the A7s, A7R, A7, D750, D810, D610, 5D, 5Ds and 6D are all inhabiting. if I recall it was a "con" for the sony system as well. ah yes, A7R review .. "Limited selection of FE lenses"
and it IS a limited set of modern lenses available. ?? definition of Limited lens??? It is a marketing term started around year 2000 by then Pentax corp. It is probably intended to imply a limited release item of high build quality. They have about 9 or 10 models now. All the early FF ones were certainly of high build quality. With FA 31 ltd. being about the highest build quality lens anyone would ever be likely to set eyes on. Look up Jun Hirakawa, designer of FA 43 & FA 77 ltd., to get some of his lens design philosophy. That's the 'not much' I know about it. I have owned the FA 43 and love adapting it to a Sony cam. They're high quality primes (with one zoom exception), great image rendition, sharp, contrasty, all metal build, some have DoF scales. They are designed with an emphasis on compactness, so they have more modest apertures than pro glass from other brand, or even Pentax's own Star series. If anybody has LBA there are a wealth of 'older' lenses such as the 31, 48 & 77mm. How many lenses does one actually need? Considering the camera has just been released & has Pro level lenses covering 15-450mm, I'm curious as to the wording 'limited'. A pro wont use Zooms and there are only "old" 31, 43, 77 mm prime and the 100mm Macro available. The 200 und 300 can only be used and are not designed and everything behind 600mm 2.8 is missing. You can't work with this equipment. The sad thing is that the average consumer will look at things like this and use it to decide what brand to go with, despite the fact that they are not pros, have no desire to be pros, and will likely only own 3-4 lenses at a given time over the life of their interest in photography. These are the consumers who have made the big two as successful as they are. "Limited", as in the FA 77/1.8 Limited, is nothing more than a marketing buzzword. And a poorly defined and chosen buzzword too, IMO. My best guess is that the term is meant to imply 'diminutive', as all the Limited lenses put a priority on small form factor by way of metal barrels and exceptional design. This type of limited wasn't ment. 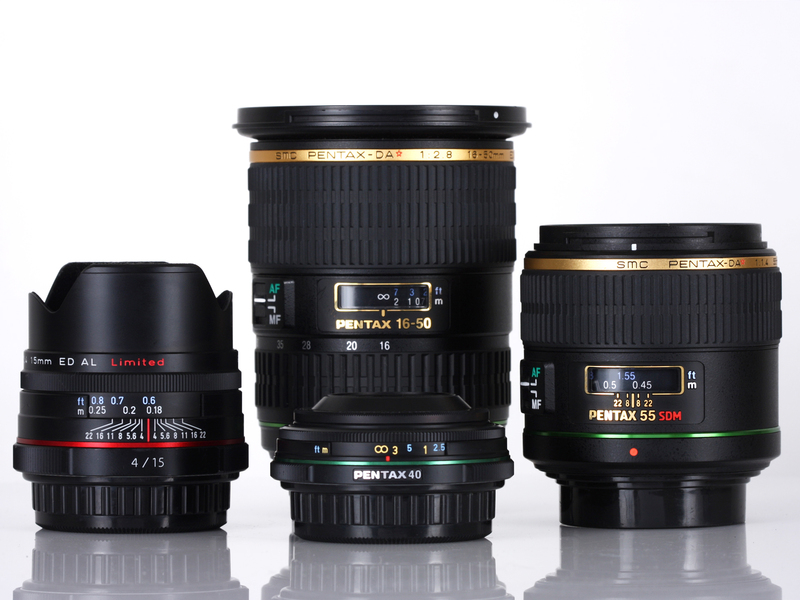 And your definition of Pentax ''limited'' small form factor excellent optical design, mainly metal is very good. Here limited means, not enough lenses, and the complete range from 8 to 800 not covered. A good one without Stabi. all lenses are in in Body stabilized with Pentax (could have been mentioned as a pro standalone or as a amendement to the pro of Stabilisation). I was simply replying to the original poster's question, which had the word "Limited" in capital letters. I do think that was the question being asked, and other posters decided to infer a different issue. I wrote Limited with a capital L because it was the first word in the sentence. In the last line I also use the word limited with the lower case as it was mid-sentence. I was referring to the actual number of lenses available but I can see how it was possible to infer another meaning due to Pentax Limited line of lenses. Egg on my face. I saw "minzaw" post just above your's and thought that was the start of this thread. 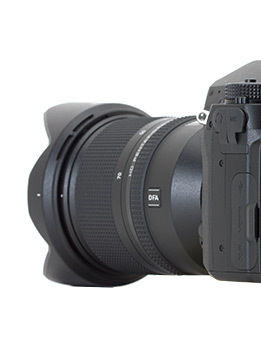 FA 43 & FA 77 are smaller than one would expect based on modern Sigma & Tamron designs. FA 31 is more mid sized. btw, FA 77 ltd. was voted best Pentax lens ever made, I think. I have never owned a copy but it must be a pretty good FF lens in general & I would expect it is 'up to the task' of a K1 camera. The badly off centered copy DPR had a while back not withstanding. Sigma: Do I need to keep on? "...This uncertainty over the selected AF point is made worse by the lack of dedicated AF control to select AF points (you can set the four-way controller to default to AF point control but that's small consolation when you've got the camera to your eye, press it and find you've changed White Balance because you've toggled out of AF point mode)." 1) the button used to re-purpose the 4-way controller to AF point select can be set as a toggle. Press to enter AF point select or press to operate four functions assigned to 4-way controller. The 4-way controller remains in the state selected until the button is pressed again. 2) the button used to re-purpose the 4-way controller to AF point select can be set as a momentary switch. Press the button to operate the four functions assigned to the 4-way controller, make a change to WB, & return immediately and with no further button pressing required to AF point select. Doesn't detract from our point. In fact, this is the way Sony cameras work as well, and we criticize them for it every time as well. Sacrificing the 4-way controller simply is not ideal. It leads to confusion when trying to operate quickly if you ever need to change one of the items that 4 way controller controls as well as change the AF point in succession. Furthermore, the 4-way controller is itself far from ideal as an AF point selector. It's slow, and far to reach with your eye to the finder. We criticize the 80D for this, for example. In fact, not criticizing it would be biased, on our end. None of this would matter if the K-1 had a world class 3D tracking system for auto shifting your AF point as you recompose, but that's not the case either. Hence, we're frankly quite surprised a proper AF point control wasn't included. Perhaps they expect you to mostly use center AF? I don't know, but it's worthy of our criticism, in our opinion. It doesn't add any useful information & 'Pentax K-1 Review, in my humble opinion, seems more professional. Ya that's extremely important..... Anything else? I don't think the first picture has enough white space so let's adjust that also. What about using the words "twin dial"? Hmmm. Genetic twins might be offended by that so let's alter that and use the word "dual. " "DA zooms will only cover the crop sensor region." sensor region? Now that has to be removed. Sounds phallic. In my humble opinion, these changes seem more professional. Just the title change would be sufficient. Due to the fact that it is the first thing that a person reads & that has an impact on the reader. Why speculate if it is 'Special'? Read the review & then decide for oneself if it's special. I agree. The title is the most important. Sometimes I only read titles and boilerplate (invent) the rest from my memory of the source. It is the same as outcome bias in testing, which many seem to think exists here. The Pros/Cons section & other parts of the review have been changed. Shouldn't this be expressed as an update on the introduction page as newcomers may not understands comments referring to 'Poor AF' as a Con, for example. Otherwise shouldn't the review be republished with the changes as a 'new' article to avoid confusion? I disagree with you for the reasons mentioned in my post. "My last post was removed (don't know why!) so I'll reword it;" You wouldn't be guilty of making sense again, would you prof? I've not had a problem with my K1 AF either singularly or continuous, it's better than any pervious Pentax DSLR (I've had them all since the *istD) as my hit rate has gone up considerably, especially with the DFA 28-105 and my old Sigma APO EX 70-210 screw drive. i was thinking more of a constructed track with a remote control vehicle platform and a AF test target mounted to it. This is exactly the point McB. If DPR had tested the K-1 and found in every day use the tracking was not as good as cameras in the same price range and said so in the 'cons' rather than using 3rd grade, un-nuanced language, all of we Pentax users would have been nodding in furious agreement. They set up a test the camera cannot pass, and then declare it 'poor'. Then they do the same test over and over and get the same result. In the words of Homer Simpson 'DURRRRR'. They compare the Continuous Af of a dedicated sports shooter camera in one instance, but then compare the IQ against camera's that cost 50 - 100% more in other areas. Inconsistent and misleading. Then there are juvenile and pejorative adjectives and allusions, which are hardly scientific or even handed. And they wonder why people dont trust them any more? Holy moly, some Pentaxians are reacting like soccer moms being told that they´ve got ugly kids..
What's even more shameful is nearly 100% of them already own the camera. Who cares what a review states if you own it and are happy with it. Pentax users are showing thousands of people how insecure they are. They need perfect reviews to justify their purchase. For the record I think it is a great camera. well the general reaction from pentaxians over a pretty predictable review .. they may think twice before making another pentax camera a "priority" ..
it's just a camera .. you'd think they insulted your first born. Having recently bought a Pentax DSLR I find that I have a tendency to skulk in the shadows in case anybody sees me with it. Still, if I'd bought a Canon, people would have been pointing at it and muttering 'dynamic range' if they saw it, so I'd have had to skulk with that too. Need advice on what sticker to get to cover the Pentax thingy on the front - Nikon? @peterpainter "P!$$ OFF"? "My Pentax beat up your ________"? "It's not the size of the lens, it's the motion of the sensor"? Stickers to put on the front of your camera. Wow, what a thread :) First off, Thanks DPR for a quick and detailed review. It obviously takes a lot of hard work and it shows in the content. And thanks too for bring sporty in responding to the reactions from all the commenters, you perhaps didnt have to, but thanks for engaging the crowd and taking the time to explain and in this case defend. I guess no one including Brand Loyalists of Pentax such as myself is under the impression that the Pentax AF is at par or better than Nikon which has perhaps the best AF system at the moment. 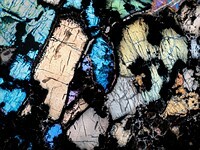 But we would all agree that the AF is for our use pretty adequate, and not all Pentaxians shoot only landscape. Thank you, interesting compilation of information, very useful. Testing the characteristics, performance and limits of an AF-system is a highly complex thing. Dpreview stressing the fact that it might be the leading test-site iMHO also did not find a way to adress this in a way that the information is far beyond personal experience, personal expectations and personal impressions. Fair enough, but still, it was the as good as standardised test chart for stills images that made dpreview to one of my favourite tools for the comparison of the capability of cameras in regard to IQ and sensor performance. The benefit is: you don't have to "assume" that the camera will "not be able to track your kids", if the biker does not suit the system. The cited test shows that from the tested cameras there is only one camera very bad, the Leica; Pentax, Canon and Olympus share the third place. It also shows that performance is very dependent on settings and also the light flux. To sum it up, the rather harsh qualitative judgement may seem to be taken as a rather bold statement. But as long as there is no better assesment of the possibilities and limits of the system you will probably have to deal with this critics, and no, they are not against you because they don't like your findings, most are just puzzled by the gap between their experience and yours. Fair enough, I appreciate that. Trust me, I would like to develop a set of objective AF tests as much as / more than you. We are constantly thinking about it and trying to find some way to build it. Did you ever write a review with so many coments? Yes. Fuji X-Pro2, Sony a7R II, Sony a6300, etc. But is there any sense in such comparison? No. Nikon 810 is very close to K-1's AF - it depends on lenses, of course. Some of Pentaxians have the both cameras and found K-1+85/1.4 is even better than D810+85/1.4G. Nope. The D810 will distance-track, and subject-track, far far better than a K-1. In low light, though, the D810 will falter. All of which we pointed out in the respective camera reviews. The a7R II will also focus far better than a K-1 in most scenarios. The K-1 pretty much falls behind most of its contemporaries with respect to tracking in AF-C, and with respect to acquisition speeds in AF-S.
Do you consider the light ambience in your AF tracking performance's test ? I see the light during K-1 test is little bit dimmer than when you test Sony A7R II, and D500. Of course I don't believe K-1 has already AF performance that can match D810. But, tbe testing methodology on AF performance should consider many variable coming from environment. Above ~9EV or so, we do not consider the light levels of our AF tracking tests. The K-1 was around 11-12 EV. Ideally, we'd develop repeatable AF-C and AF-S tests at various light levels, but above 10 EV, we can't imagine there should be huge differences in AF performance due to the light levels themselves. And if there is, well, that's a problem. Since you so boldly proclaimed the AF performance for the D810, A7RII, can you please show us proof of doing the same test you stressed K-1 with, with similar 200mm F2.8 focal length/aperture, under similar lighting conditions, with these "superior" cameras? At least we will know how much better the other cameras are, instead of going by some empty words? Empty words? 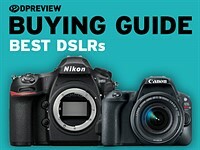 Check the 5DS review, the a7R II review, the D500 review, D7200 review, the a6300 review, and the D810 review. The D810 has a 200/4 sequence, albeit at ISO 2000 equivalent, and a different 'test', so it's not directly comparable. All other review have the bike test though. And where the Nikons nailed 100% of every single point AF-C test, we usually only show the weaving subject tracking test. In some of those reviews, we present even harsher tests, at F1.8. Pentax brand loyalists should be happy we didn't publish the subject tracking tests at 35/1.8 we subjected the D810 and 5DS to here... where the K-1 would have nailed a whopping 0-10%. Also, for transparency, you're the user that thinks our latest iteration of bike tests 'fixes' everything and has a dramatically higher hit-rate. When its hit-rate is exactly the same as the prior 2 runs we published which you claim we botched: 4 out 14 shots in-focus in single point AF-C.
@ RS The D810 test is not comparable as you are using 3DT and I find that where you tested it puts it near the limit that I would use 3DT and also remind people that 3DT is not an option with the K, If I was to use 9pt d and manually tracked the target the out come would have been stellar. 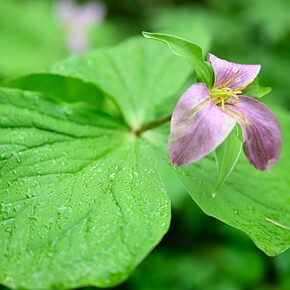 It is also worth noting from my use with the D800 with the 70-200 F4 /F2.8 that the F2.8 version is better at than the F4. Rishi, I see only 2 pics out of 14 that were in focus in original AFC test where the focus point was not the cyclist's head, while the new test with focus point on cyclist head has 5 pics out of 14 in focus. Which 4 in original test did you think had good focus? Maybe you are more forgiving than me at judging focus, we can use your criteria and recount. I doubt many would seriously expect test 1 to be successful keeping cyclist head in focus if it's not even the focus point. 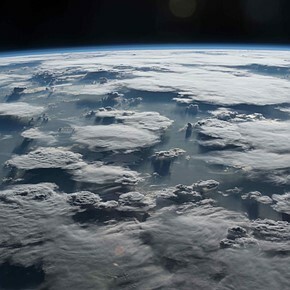 I think that if you are prepared to take EV into account in AF tests - which indeed you should - you should also take contrast into account - direct sunlight gives more contrasty images than white cloud or shade and AF depends on contrast - do you do this also? LightBug - look again, here. You think there's a significant difference between the last two runs of Richard on a bike (single point, not 'weaving')? If anything, our first test, which we initially published with the review when we first published on Tue morning was the best, although there it was only ~5/14 in focus. I've explained elsewhere that the latest run is taken from a sequence a little earlier on, with the biker further away, with the first couple shots not even requiring any refocusing. Therefore, it's important to look for trends. And the trend across the results in the collated page above are that single point AF-C is constantly playing catch up (& no, our choice of where our focus point is placed makes no difference, as I'd explained before was obviously the case to anyone who actually clicked through to the full images, yet we were repeatedly ostracized & attempted to be discredited for...), & subject tracking fails. ffking, yeah follow the link here - the first set, the one we'd originally published with the review (but received complaints that AF Hold wasn't 'Off') was in bright sunlight. Within our expected margin of error of these tests, there's no real improvement. RS - Why do you think that your test correct? A lot of K-1's users think that you can't use Pentax cameras at all. You need more practice and the reading of manual about AF-C methods in K-1. RS - AF depends on lenses. You're not user of different cameras. It's silly to compare AF of different cameras with different lenses in different conditions. You can use speed and fast lens on one camera and sluggish and slow lenses on another and make biassed conclusion. It's normal for DPreview. Alas. To compare apples with oranges. The users has more experience and can be unbiassed. RS - First of all, you should compare AF of cameras of the same system. K-1 with K-3II and K-S2, for example. With the same lens in the same light condition. Refreshing. The canon's and nikon's have not something I might consider instead for once! I think dpreview go overboard with their testing. Just say it's a nice camera, that's all. Nothing is perfect, and not one camera can do everything. Not all are suitable to your method of testing. And not everybody uses the camera the way you do. I think you are working too hard. Just tell us the different features with some photos, that's all. And, then there will be peace on Earth. So you want the top reviewers on the internet to give a free-pass to everyone any time there's a big weakness, & instead say 'it's a nice camera, that's all'. OK, so Sony mirrorless cameras have Menus. They have batteries. That is all. Cool, that was informative, wasn't it? So helpful. Careful what you ask for. You are literally asking us to not even point out and make people aware of weaknesses between cameras. That never helped me. When I shot weddings with Canons, I didn't know I could've just switched to Nikon & had a camera follow my bride, my bride (not the groom, or some other random character), down the aisle. Not just the bride, her face. Her eye even. Why? Because few media outlets, or photographers for that matter, even understand the difference in AF performance/nuances between a Nikon and a Canon. And now that we know that difference, you'd rather we just downplay it & say 'all cameras are good!'. You are literally requesting we not do our job. @Rishi your background as the scientist surely give you the mind set to reveal everything you found out during the test and you back it up with the proofs. That is good from that point of view. But DPR is not for scientist, there are many interest not only the objectivity that matters, but also to cater the big fans with their faith to the brand they love. Of course its irrational, but that is what it is. You can say whatever you want to say in your own blog, but here in DPR I think you should be cafeful to say the weakness of each camera you are reviewing. Why ? Because not everyone can take it easily. Try to review Leica or Hassleblad, and then say "only stupid will buy this expensive stuff because Canikon, Sony, can do better". The value of the camera is not only mesured by number. I know you loves scientific test with all its "Quantitative measurement". Saying all cameras are good is good also, and that doesn't mean to request you not to do your job. Wording is very important. Yes it is requesting us to not do our job. Taken to its logical extreme, the negative feedback from brand loyalists would discourage honest reviewers from expressing their honest results. Which would then blind potential buyers as to actual issues, and actual areas where certain systems excel, or fall behind in. That would be the ultimate fail of a site like ours. Look at the sites that do objectively benchmark well. rtings.com for TVs, DXO for sensors, anandtech for computer parts. You think they'd just unpublish numbers because they fall short? Or gloss over them? Numbers that are actually important for TV, sensor, or computer use-cases? If they did, just to cater to brand loyalists, and post-purchase justifiers, that would be their ultimate fail. We absolutely will not stoop to demands of brand loyalists. We exist to provide objective assessments, & brand loyalists would do well to realize that they're actually hurting their own chances of getting unbiased, useful info. I actually think that a lot of the problems here come from the fact that there are simply more trade-offs necessary in digital cameras than in film cameras. While it's true that current Pentax AF is not as good as current Nikon, period - 99% of Pentaxians acknowledge that - it's also true that expensive tracking capabilities are of much more limited use in a 36Mp camera than in a 20Mp (or thereabouts) camera because you will never get such a high frame rate. Perhaps what people have a problem with is that too much weight is given to shortcomings which will never be an issue for most of the people who buy the K-1. That doesn't mean that the AF issues are irrelevant - but the camera was never meant to be a rival to the D500 - the D810 is actually the closest comparison , as they share a sensor and face the same design compromises that that implies - and there the K-1 stands up pretty well - behind in some places, ahead in others. No matter the tests, to me yes, all cameras are nice, especially In this day and age, very nice indeed. but not equal, who wants them to be? What is equal is my respect to all cameras brands with their innovations and history. Even though their design philosophy might be different and not be for everybody. I beg or expect that they all receive the same equal respect. I'm not requesting not to do your job. Do whatever you like. But with all that testing, and constantly favoring one brand over the other, I feel that this has become more of Consumer Report than a camera review. Tracking capabilities and frame rate have nothing to do with another and are completely orthogonal. I suppouse that there is something went wrong with DP AF test , and it is better then as it presented in this review but one can't deny the fact of AF points not illuuminated in dark is a problem . Let see if it can be corrected by FM . It's not, but you can 'suppose' all you want. If you wish to challenge us, though, then do a similar test, and present your findings. Others who've done so with Pentax systems have found themselves achieving exactly the same hit-rates we achieved. You know you are ruing it for me . If it makes you feel any better, I ruin it for myself all the time. I know most of the shortcomings of my camera, & I'm happy to know them, b/c I work around them, and also know what to look for when thinking of replacing my current gear. I'm curious about this illuminated AF points thingie... do Canikons behave differently? Because they had the same behavior, when I held some of their cameras. Black AF marker only, until you change the AF point or focus - then, the brief flash of red. But perhaps there's some setting I'm missing. Nikon's flash the AF point/grid red as soon as you depress the shutter halfway. Then give you a focus confirmation green light at the bottom of the viewfinder when focus is achieved. Rishi, could you give a more detailed explanation of the difference please? What you just described is exactly the behavior I see in the viewfinder of the K-1. I'm obviously missing something. I don't have the K-1 with me right now, but I remember the same behavior. Actually yesterday evening I had a trip to a camera store to check if the Canon/Nikon's behavior is different. I couldn't see it. Still, I might be missing something, a subtle but - for some - effective difference. There is not only the undifferenciated conclusions for AF. Also regarding pixel shift: why does DPR only test the limits of the system, going with its photographed subject almost beyond its stated scope of application? Your test is valid and appreciated. But why not also test with really still subjects having finest details? (the city scape picture is not suited since mostly lacking any relevant details. There are many better examples from users and other sites) Why not in addition show where Pentax implementation of pixel shift shines? There is valid criticism, no doubt. But the sum of omissions and invalid criticisms leaves a bad taste. Yes. Say I were a professional photographer and did an occasional studio work. This could give me great results. Not needing medium format. Also, I don't mind some shifting. Did lots of landscape photography with longer exposures. Having some things static, others implying motion can be a strength, not a "con." DPR is also the only media outlet on the internet that even suggested that in Pixel Shift mode, the dynamic range of the K-1 matched the 645Z and/or exceeded all other full-frame cameras. Because we're actually the only media outlet that understands what shot noise is. That was all because of my understanding of shot noise, image averaging, and dynamic range. I've even been trying to explain to Ronald Chambers (via PM's and forum posts), who's convinced our claims of Pixel Shift noise improvements is false and misleading and desires us to retract all our comments on the noise benefits of PSR, that he's in fact wrong, and that PSR does increase dynamic range because of fundamental noise principles. And you here you are, claiming that we have left a bitter taste in your mouth. Despite us being the people that even alerted the internet to the dynamic range benefits of Pixel Shift. You may wish to re-evaluate the source of your bad taste. the only media outlet? 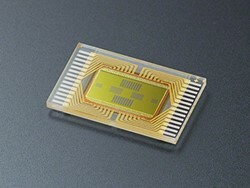 Then you should follow up on what imaging-resource.com wrote about the K1. They had also a nice piece about the AF: "Autofocus performance was swift, comparing well with the Pentax K-3 II in my informal, real-world testing. (And our lab testing likewise found autofocus performance to be a strength of the Pentax K-1.)" Yup, the only media outlet. Please refer us to another one that showed the DR benefits of Pixel Shift. Yet here we are with the OP trying to tell us we're trying to knock Pixel Shift. Try and stay on topic. But since you brought it up - you're referring to the admittedly 'informal' IR tests? You know better than to do that. Oh, you're referring to the 'lab' tests at IR? They were single AF-S acquisition tests. Which have literally nothing to do with our AF-C tests. Just came back from a set and this is still going on? 3-range focus limiter on the DFA* 70-200 was set to what value for the focus test? Thanks guys. I hear the sales of bikes has skyrocketed on amazon in the last 24 hours.. It was set to 'Full'. Thank you, Rishi. I'm not likely to get my hands on a copy of the lens any time soon, but if I do, I'll try to replicate the test. I remember a Canon lens, and I can't put my finder on the model, that had real trouble (slowed down) crossing a focus limiter boundary during af/c. Usually, those are toward the mfd side and limit toward infinity. But this 70-200 lens has 3-ranges and the middle range might be out where the cycle is. As I said, I don't have a copy in hand. Well, as a Pentax user I'm convinced now that the K1 cannot take pictures of people on moving bicycles. But luckily that still leaves cars, aeroplanes, birds etc. So all is not lost. One of my favorite parts of learning a new camera system is to figure out how it works best for me. 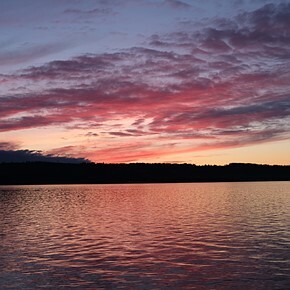 There can be no doubt that the K-1 is capable of excellent photographs of a wide variety of subjects, and at a very high level of image quality to boot. The bigger issue is that, bluntly, the autofocus system is behind many others offered in the marketplace. 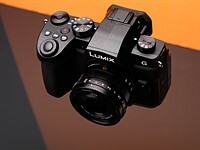 That includes Panasonic, in particular, which only has a CDAF system (plus DFD technology), though they do have a smaller sensor (and therefore increased DoF) to reckon with. We have nothing to gain from saying the K-1 isn't the best full-frame DSLR on the market. In some ways, it is. In some ways, it isn't. That's our job. To present objective facts so that you, the reader, can decide for yourself. If it were me? I'd keep my D700's for action and use a K-1 for more crucial work like staged portraiture, still life work, or work with a (very still) model. Carey: that is exactly the issue with the article. It does not say that "there can be no doubt that the K-1 AF is capable of excellent photographs of a wide variety of subjects, and at a very high level of image quality to boot". Because of that blanket statement "poor AF" and the (paraphrased) "half AF-S failed" (whitch is impossible) the review basically sais that the K1 is not capable of all that. We know that K1 tracking is behind other brands' tracking. 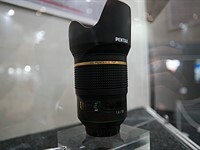 Still it is capable of great action pictures as posts in Pentax forum proove. The problem with your tracking test is that only latest and greatest tracking systems with high on-chip intelligence can pass it while less intelligent tracking systems completely fail. Your test assumes less intelligence on the user side than a Pentax user is capable to apply. This is what some of uf us try to convey but seems to be ignored in defense of your test methodology. That's a pretty solid result from an autofocus system that was contrast-detect only, and what's more, from a system that I was never truly confident of in the field. In fact, the very 'un-scientific' nature of our bike tests (mixed lighting, different days, different temperatures, different riders, different bikes) might not be up to a lab-standard of testing, but we run that test multiple times with each camera to make sure that our results are not an anomaly. That said - there is no question that a seasoned shooter with the right tool with the right settings will 'outsmart' just about any movement in front of him or her. But such a user is not the average user, and is certainly not typical of an individual switching systems and seeking to figure out what works best for him or her. I hope it's obvious, but all of us at DPR care about what we write, how we write it, and what impact it has on those that read what we've written. Thanks for taking the time to read, comment and contribute. Thanks for participating, Carey. My experience is limited to the low end of the digital spectrum. But I have found that no doubt Panasonic, and Sony in the earlier days of digital, have focus "knocked." But somehow Pentax and Olympus, in my experience, understand how to create a more pleasing, three-dimensional image quality. E.g. I have the Olympus E-PL1 and Panasonic GF3 but the Olympus images are better. gravelhopper: The irony is that you're the one saying that half AF-S failed. YOU. In other words: @gravelhopper claims that based on his misinterpretation of DPReview's tests, the K-1 cannot focus on even half of the images you shoot! "Z-axis depth tracking (refocusing on an approaching subject) with a single point is disappointing relative to the K-1's contemporaries: the camera cannot keep up with approaching motion, missing focus on more than half the shots in our AF-C sequences. Furthermore, when you ask the camera to understand your subject & shift AF points automatically to stick to your subject as it moves around the frame, we found our hit-rate to drop to 15% or less. This mirrors our real-world experience: when we select a subject, & recompose or have the subject move, the camera is fairly slow & inaccurate at shifting AF points automatically to follow our subject." Rishi: I reread the AF references in the review just now. There are text changes in AF and conclusion sections, formulations that lead everybody to understand "AF-S fails half the time" (paraphrased) were removed/changed. Your AF-S references are now much more differenciated and comparable to our experience. But now you are going at me and blaming me for the old misleading text? Wow. An anouncement in the article or a hint in your personal response that you adjusted the text would have been fair. "AF-S fails half the time" (paraphrased) were removed/changed." We never had any such text. "Your AF-S references are now much more differenciated and comparable to our experience." No, they're not. Our AF-S text hasn't changed. All we did, as I mentioned in comments before, was add '-C' to the Conclusion after 'Single Point AF', b/c so many refused to refer to our AF pages that outlined the test parameters. In the conclusion, rather than saying 'Poor AF Performance', Chris updated it to break down the conversation into what was wrong with AF-S, vs AF-C. Nothing else was changed, & I can't fathom why you're suggesting otherwise. We had the good faith of taking audience misunderstandings into account & updating to spell out more clearly in the Conclusion exactly what we meant - despite not doing so for other reviews b/c Pro/Con lists try to be as terse as possible. And you reward us by accusations of rewording to match audience experience. Simply not true. Thats exuivalent to 300 mm but the depth of field is quite large at f4.0 with a 2.7 crop. If the camera didnt nail focus there I would be suprised. "make this camera suitable for a relatively small portion of buyers in the full-frame DSLR market" = Better buy something else than this mediocre camera. Thanks DPR, for sh***ing on Pentax again. shhh carey .. why try? the "falling just short of the class-leading.. " and the .. "offers some of the best" and the "with results falling just short of" clearly identifies the bias and the **** all over pentax. I jest .. but some of the comments.... Good lord. Personally, I think the K-1 is awesome and I love the extra competition in the marketplace. I could see the K-1 and the 43mm Limited as my ideal walk-around kit. The fact remains - I own a DSLR from almost a decade ago that has superior autofocus performance to the K-1. Superior image quality? Not by a long shot. Indeed. if it wasn't for a few things that I don't like about the camera, it's hard not to want to run and get one. it's certainly selling well in Japan by the looks of BCN, so Pentax has done some things right. i thought the review was predictable. everyone KNEW the AF wouldn't be up to canikon full frame pro class cameras but the IQ would excel. not sure what everyone is up in arms about. Sorry, wrote last reply before I saw yours. And exactly - good sales = good competition = better cameras = more innovation for the average user. Yes! Carey, your reply to my original post is true, but the difference is that my quote came from the Final Word, which of course carries much more weight than all the nice things said in less important parts of the review. I think it is very presumptuous of DPR to make such a statement about the camera. @mxx, Yes, the 'Final Word' carries a great deal of weight that we do our very best to be conscious of. There's no doubt the K-1 is capable of impressive image quality - throughout its ISO range, and a range of uses. But, despite all of our praise - we find its autofocus performance to be lacking. We're accused of being biased - but we also have access to brands across the industry that, in many situations, may perform better. A lack of honesty about competitors in the marketplace would seem, to me, to do a disservice to our readers. Don't care about AF? No worries - we leave it to readers to decide. To be brutally honest, I'd love a K-1 and a 43mm as a walk-around for a few weeks. But I also don't expect the autofocus to be on-par with other full-frame offerings in the marketplace. That's totally fine. 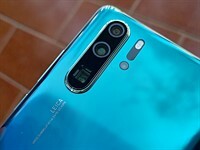 But for a camera-buying public that uses small-sensor wide-angle smartphones and isn't particularly concerned with the concept of autofocus...it better work. Regardless of cost. I mean, for comparison's sake - I have a Fuji X100 and a Ricoh GR... and still, my D700 from 2008 s**ts all over both of them with AF. It's not an emotional issue. Just an observation. my benchmark for AF prowess (for cheap cameras) is my old Nikon V1. so I keep my V1 for sports/street,and other camera for low light conditions. Why they say Mid-Range??? Not High-End?? Surely you don't expect DPR to use the words Pentax and High End in the same sentence? That is only reserved for Nikons and Canons. Maybe because it's 2000 euros instead of maybe 5000? 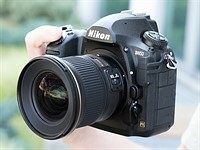 About the same price point at introduction as the 6D and D610 really. Categorise it by feature-set and then get complaints that we're unfairly scoring it in relation to much more expensive cameras. Categorise it by price so that it's scored in relation to the other cameras someone might consider at that price, then get complaints that the naming of the category somehow demeans the camera. That's one of the easier decisions we have to make. I think people are still angry after the debacle that was the pixel shift test. And I don't know why pixel shift is a con in the first place. That's like saying all Fuji cameras are bad because raw developers for X-Trans are still wildly inconsistent, and in some cases, not supported. And it's uses are limited, that is clear, but isn't that something that should be a plus? That they offer pixel shift should be a bonus, not derided as a feature that cannot be used in some cases. Deriding the menu system and AF points selection? That is awfully subjective. I've found that over time, those have become second nature, and with so many features available at the press of an actual button, easily I find this camera to be more user friendly compared to my D750. And yes, there are many useful features in this camera not available on the D750. Like the outdoor view button, that button has become invaluable for outdoor shooting in my experience. So is having a dedicated GPS and WIFI button also. who said that pixel shift is a con? We certainly didn't. We did point out its limitations, but we think that's probably useful for people who are considering buying it based on this feature. I believe someone posted an example with a floral arrangement as an example. It was splendid. My question for DPReview: how much time do you spend on a particular form before writing the review. "who said that pixel shift is a con"
At last count the pixel shift feature accounted for two cons. Was that really necessary? But it did make the con list longer, showing the K1 in a worse light, so you've achieved your purpose. A bit below the belt, don't ya think? You guys did put it not one, but as 2 cons Simon, like you needed to fill up the cons column by necessity. Simiarly, I just went over and browsed at the Olympus E-M5 review. Nowhere did you guys list the limitations of the hi-res mode as a 'con', even though is even more limited for a similar implementation. well dpreview could remove a pixel shift con and then add a con for the non-stabilized viewfinder if it makes you all gushy and happy about it. "dpreview could remove a pixel shift con and then add a con for..."
Getting a bit stupid now, aren't we? And by the way, best of luck with your next school exams. Why would you need a stabilized viewfinder? Do you take pictures on a rollercoaster or something? seriously .. the pentaxians raging over this IS a bit stupid. and btw, a non stabilized viewfinder is a con. I am not a 'Pentaxian'. I have used Nikons for 30 years. And real photographers don't need a 'stabilized' viewfinder. If I'm shooting with anything over 300mm I want the viewfinder stabilized like it is with IS/VR/IBIS systems of Fuji, Olympus, Panasonic, Sony, Canon, or Nikon cameras. Pentax is the ONLY camera company that facilitates image stabilization that does not also stabilize the viewfinder. and weird how your nikons then do it and same with your Fuji's.. but carry on. real photographers eh? well hell, real photographers don't need image stabilization at all .. or pixel shift ..because real photographers now how to do stacking and super resolution and carry 20 lb tripods everywhere. Ah...you are really reaching at straws here. The only people who think looking at a stabilized view in the viewfinder are Canon people I find. Not even Nikon people give a damn. IBIS or VR is there to give you a f-stop advantage, it isn't there to help you look at a stable picture through the viewfinder. Simon, by not putting a PRO for pixel shift for when it's useful, such as food, product, macro photography, you actually did a disservice to people who could have benefitted from the boost in image quality from pixel shift. Lol.. just a Canon thing. Funny how nikon has a full page about it. 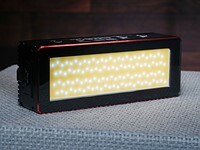 @lightbug Pixel Shift is listed in the pro column- check again. I've already made this point once, but it bears repeating since I'm sure it has been buried in the past 72hrs. Is Pixel Shift a bonus? Absolutely. But if the feature is going to be offered on the camera we have to thoroughly test it- hints why there are pros and cons of the technology. If someone is looking to purchase the camera that isn't familiar with Pentax or the Pixel Shift technology it's only fair to give them the complete picture and that's what we tried to do here. Pros and Cons are not all created equal. Pro: Great Image Quality, Con: Lack of WB fine tune in Kelvin setting, wouldn't cancel one another out, for instance. The Pros and Cons are a list of things that we think potential buyers might want to be aware of. Nothing more. Pixel shift is listed as the second 'Pro' in the conclusion (and has been since the first draft of the conclusion was written). This isn't nullified by us also pointing out that there are some limitations to its use and your subsequent processing options. We trust our readership to assess how important each pro and con is to them and their way of shooting.